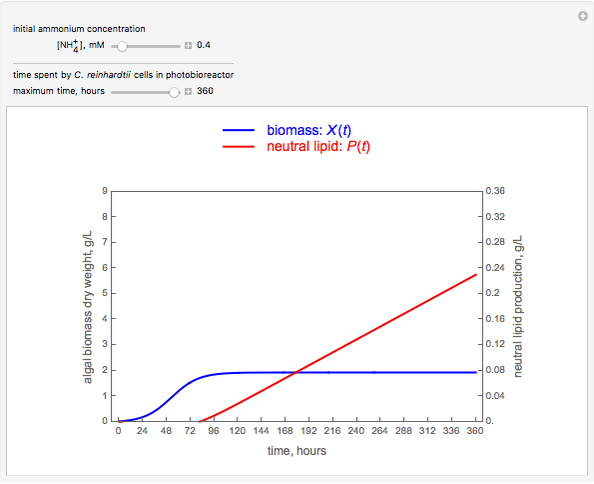 This Demonstration shows a plot of Chlamydomonas reinhardtii (algae) growth and neutral lipid accumulation versus time, for variations in initial ammonium ion concentration in a batch photobioreactor. 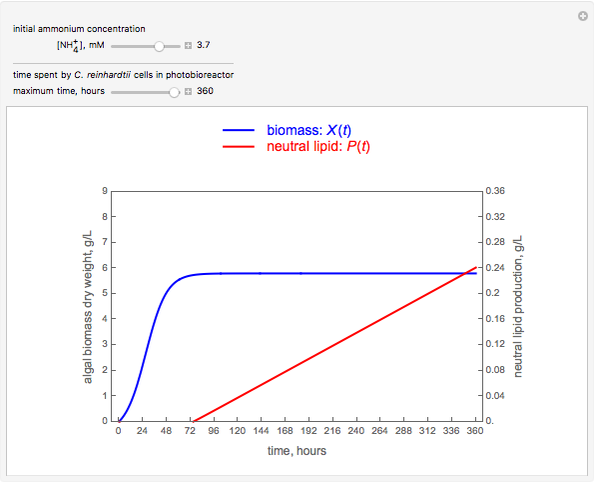 This can be applied to optimize the amount of nitrogen to be added to the batch to produce maximum algal biomass yield and maximum neutral lipid. 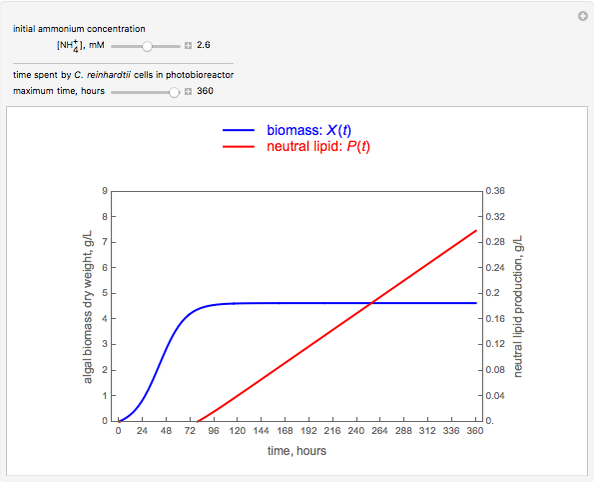 The modified logistic approach was used for describing the algal growth and Leudeking–Piret equation for neutral lipid accumulation with the change in initial ammonium ion concentration in a batch photobioreactor. 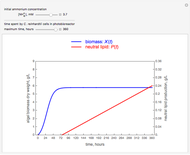 The model equations and parameter values are from . R. Tevatia, Y. Demirel, and P. Blum, "Kinetic Modeling of Photoautotropic Growth and Neutral Lipid Accumulation in Terms of Ammonium Concentration in Chlamydomonas reinhardtii," Bioresource Technology, 119, 2012 pp. 419–424. 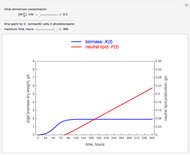 Rahul Tevatia "Algal Growth and Lipid Accumulation Stimulated by Nitrogen Concentration"